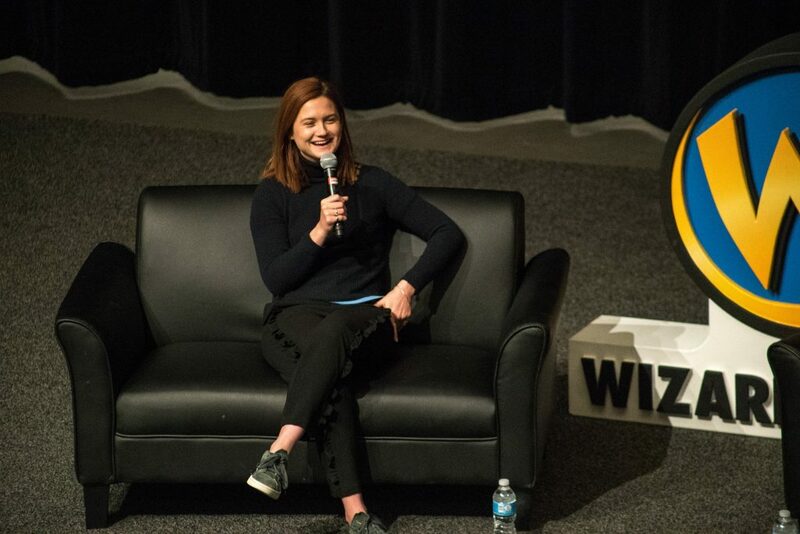 Wizard World has kicked off its 2018 nationwide tour and St. Louis, Missouri was lucky enough to be the first to host the convention this year. Fans of all ages flocked to the America’s Center this past weekend to celebrate anything and everything within nerd-culture. And what a weekend it turned out to be. People were in good spirits throughout the weekend, despite the untimely news that Stan Lee (creator and national treasure of the comic circuit) had to cancel his appearance due to illness earlier in the week. Fans in attendance and all over the world breathed a collective sigh of relief when it was announced that he’s doing well. 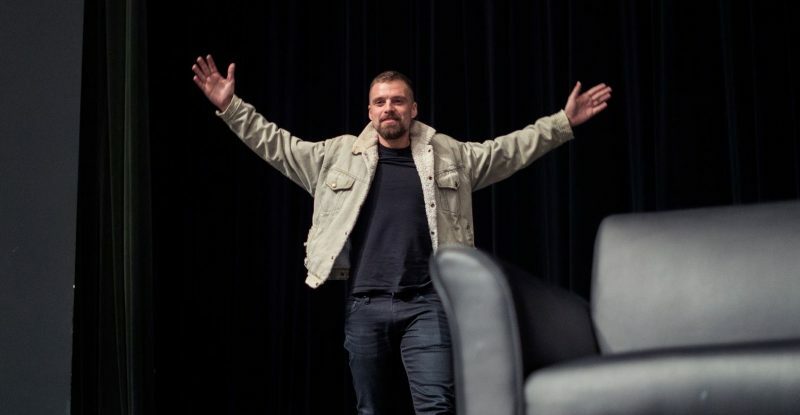 Wizard World came to St. Louis with a long, fun-filled list of celebrity guests for fans to meet, including Sebastian Stan (Bucky, Captain America), Sean Bean (Ned Stark, Game of Thrones), Bonnie Wright (Ginny Weasley, Harry Potter), Sean Astin (Samwise/LotR, Bob/Stranger Things 2), Jon Heder (Napoleon Dynamite), and Dan Fogler (Jacob Kowalski/Fantastic Beasts). 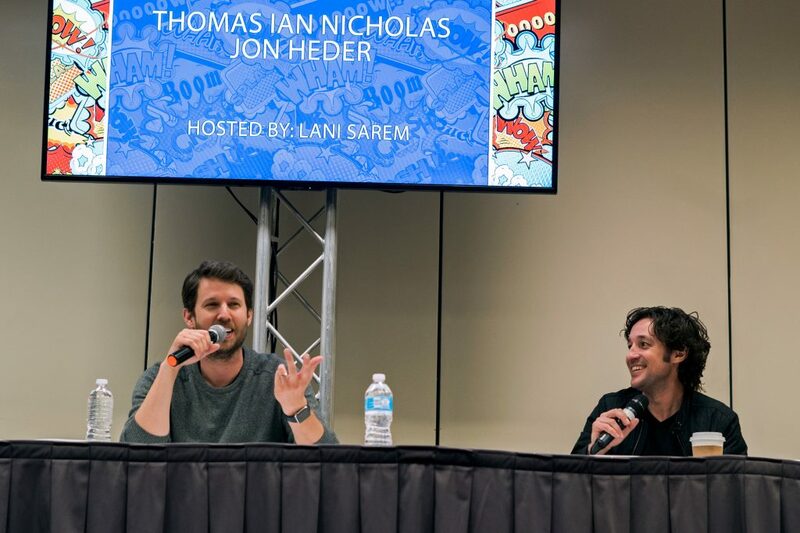 Many more convention favorites were in attendance, such as Nichelle Nichols (Star Trek), Thomas Ian Nicholas (American Pie), Billy Boyd (Lord of the Rings), and of course the always entertaining John Barrowman (Arrow, Doctor Who). This was my first time visiting Wizard World St. Louis since the first stop in town five years ago. However I’ve been to Chicago Wizard World the past three years, seeing the guests and meeting artists while admiring their work (usually spending a little more money than I planned with all the great work). That being said, I was a little taken aback this past Friday night by the size of the convention in comparison to what I’m used to in Chicago. In no way did it affect my experience, but as a somewhat regular attendee in Chicago the size difference was evident. 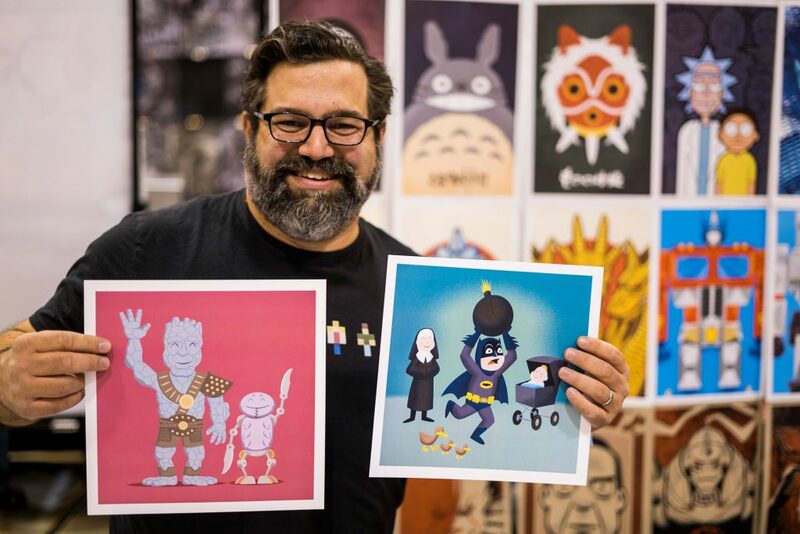 After talking with multiple artists, vendors and even friends who attend the STL convention regularly, they’ve all seemed in agreement though that attendance continues to rise year to year. Artist’s Alley, to me (and probably most), is the meat of these conventions. I thoroughly enjoy walking booth to booth and finding different styles of art that I can enjoy. And there was no shortage of incredible artistry at the con this year. One of the highlights for me was meeting Bob Camp, co-creator of The Ren & Stimpy Show, and looking through his portfolio of hand-drawn cells from the production. He was a blast to talk to, and I think anybody who visited him at his booth would easily agree. Other artists I enjoyed speaking with and/or bought original art from include (just to name a few): local artist Matt Reedy, Jason Meents, Nick Minor, Mostafa Moussa, Kevin from Rawry & Pohly, and Brianna “Bri Pi” Crozier (who has wonderful water-colorings). All in all, anyone who came to the convention this year to admire and purchase new art likely did not leave empty handed. On the side of the coin, there seemed to be plenty of vendor booths to keep the collectors in attendance oohing and ahhing over their merchandise. There were countless action figures, Funko POP! vinyls, replica weapons, retro video games, and of course – comics. One of the premier comic booths even had a first-appearance Iron-Man comic for the bargain price of $6000, which was kind of incredible to see considering the comic itself sold at retail for a whopping 12 cents in 1963. When it was all said and done, Wizard World St. Louis was a great time, and is definitely worth checking out. Especially since it’s only going to continue growing. If you’re into anything pop-culture related, it would be nearly impossible to attend this convention and not have a good time. It isn’t the largest convention, but it’s easy to navigate and has plenty to see and do. 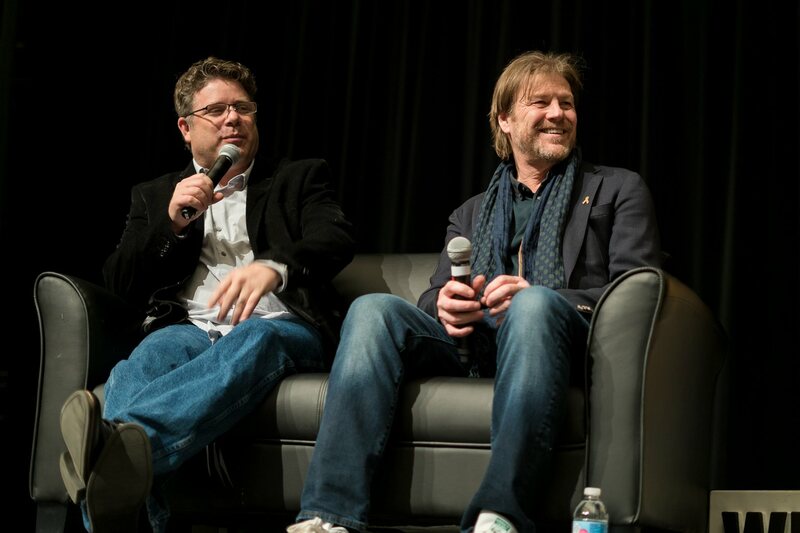 The Wizard World programmers do a great job scheduling panels, signings, and photo-ops with the celebrity guests. So you’re guaranteed to go all weekend and experience something different every day. Part of the fun as attendees is dressing up and adding to the show with your own cosplay (which there was no shortage of this year). If you have the chance to check out a Wizard World convention, make sure to check it out! It’s a fantastic celebration of all things pop culture, and a great way to spend the weekend.